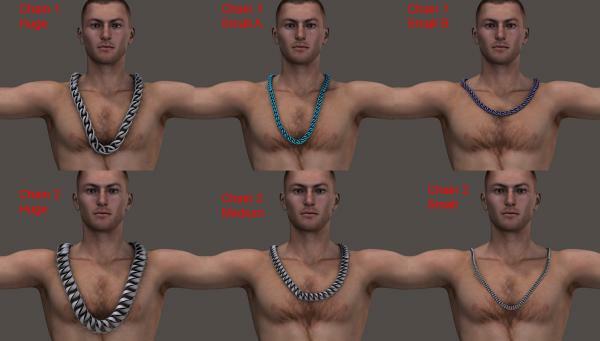 Six neck chains smart-propped for Micheal 4. Can be fitted to other figures with a little scaling and position adjustments. Untextured; apply your own favorite metal shaders or textures. Suitable for modern/casual scenes, or fantasy/historical.